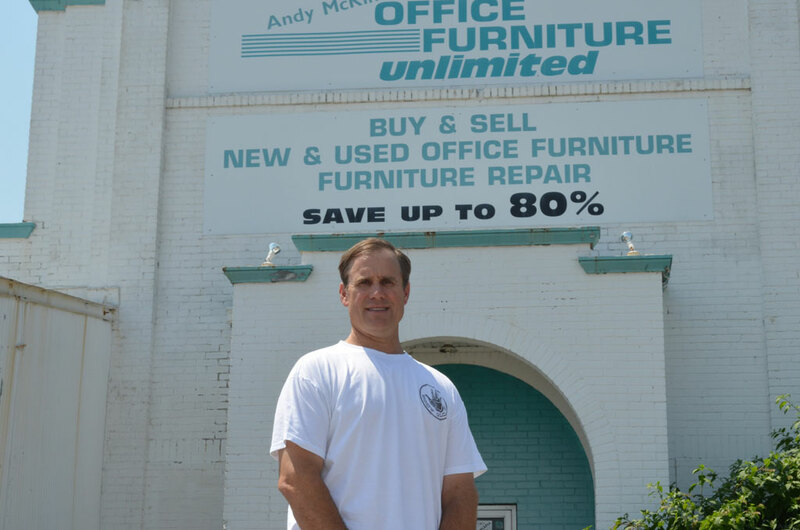 Andy McKinney, owner of Office Furniture Unlimited, in Greensboro, NC. Andy has over 30 years experience in the office furniture business. Office Furniture Unlimited specializes in the best quality workplace furniture in North Carolina. In addition to offering the best prices on new and used furniture in Greensboro, Winston-Salem and High Point, Office Furniture also can repair furniture and can help with the layout and set-up of a complete office. And if you have a need for setting up workstations, we have a complete line of new and used panel systems and can completely install the panels to create an efficient use of space. We also buy used furniture and will pick-up and disassemble workstations for a company that is moving or closing an office. We also offer delivery and Panel system set-up. We will deliver an order no matter how small and the delivery fee is very modest for Greensboro, Winston-Salem and High Point. In addition to delivery, we have an experience staff that will install your panel system to create workstations and cubicles. We can even assist you with the design and layout of your office space. If you are interested in any of these services, please give us a call and we’ll be glad to give you a price on delivery or set-up of your office furniture in the areas of High Point, Winston-Salem, Greensboro, Burlington and Reidsville.